The popular 3D EnviroScape® Watershed/NPS model provides a hands-on, interactive demonstration of the sources and effects of water pollution -- and allows you to demonstrate ways to prevent it. Easily demonstrate how storm water runoff carries pollutants through the watershed to a pond, lake, river, bay, or ocean – and the best management practices to prevent this type of pollution from occurring. 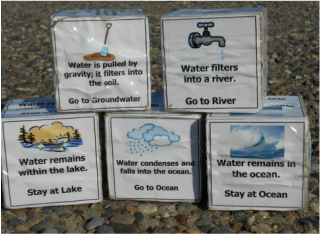 The overall watershed/stormwater concept is effectively communicated to all ages (children to adults)! The 3D EnviroScape Hazardous® model lets you explore what happens when hazardous materials and waste are improperly discharged, disposed or accidentally spilled on the land -- and ways to clean up and prevent this from happening. From underground storage tanks and illegal dumping to transportation and household/residential and commercial practices... & more! The 3D Interactive EnviroScape Wetlands® allows you to explore with your audience the functions and values of various wetland types. Demonstrate human activities which may negatively affect wetlands and experiment with methods that can help conserve and protect them. 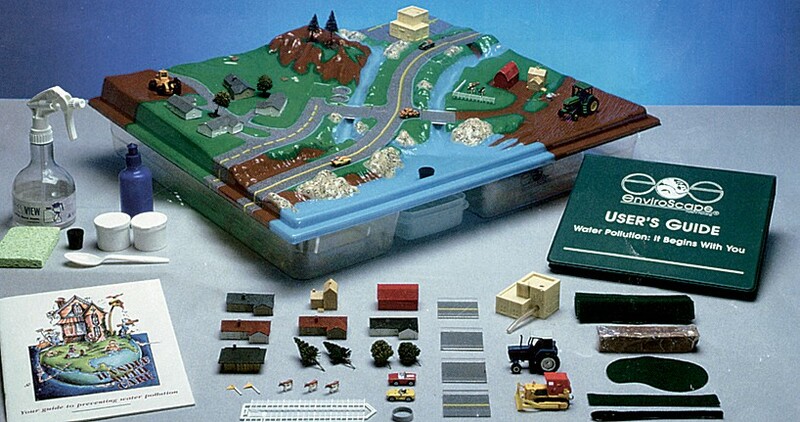 Specifically designed to demonstrate wetlands. For stormwater or watershed concepts, we recommend pairing this model with the EnviroScape NPS/Watershed. This kit addresses the benefits and values of riparian buffers -- areas including trees and other vegetation adjacent to the banks of streams, rivers and lakes. The kit's guide explores the positive effects of good riparian buffers as well as activities that contribute to poor riparian buffer zones. ​This 26"-long scope was designed to study underwater pond life. Made of durable, unbreakable plastic with nonbreakable mirrors. 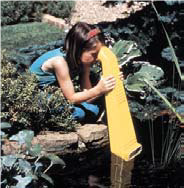 Aqua Scope is completely waterproof and can also be used as a periscope out of the water. The scope comes with a 2"-diameter circle that magnifies 3× for better viewing. Ideal for sweeping over vegetation or use in shallow ponds or streams. Large weave, medium length handle. A handy field guide for identifying aquatic nuisance and aquatic invasive species in the Greater Yellowstone Area. 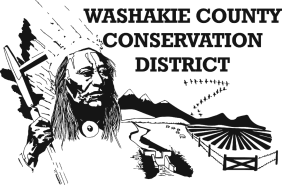 Produced by the Greater Yellowstone Coordinating Committee. Full color identification cards. Laminated for use in the field. Provides background information on the biology and ecology of freshwater organisms and environments. Describes nearly 100 of the most common groups of invertebrates, and for each group a whole-body color illustration is provided along with brief text pointing out the most important features that identify members of the group. 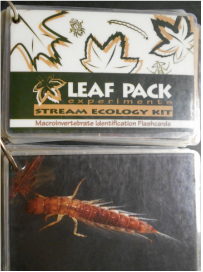 Large laminated key to aquatic macro-invertebrates. 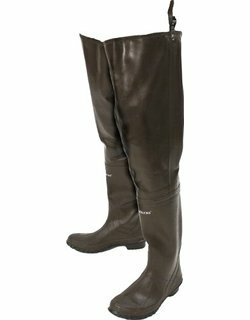 Perfect for use in the field. Multiple copies available for student use. 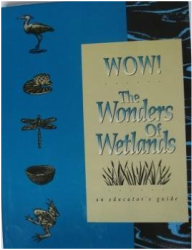 Lessons and activities on wetland functions, animals, and interactions for all age groups. Reinforces the water cycle. Enough blocks to play two separate games. Instructions are located in Project Aquatic. Water-related poems, colorful illustrations, definitions and interesting facts from H20 help readers explore the wonders of water and know just the right "water words" to voice their appreciation and concern for water and its future to Earth. 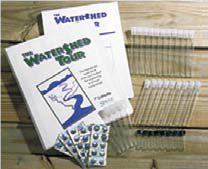 Easy to use classroom-based curriculum consisting of equipment, activities, and discussions centered on watershed issues. Tour focuses on mapping, location description, habitat identification, water chemistry, biology (including food chain relationships), data analysis, and formulation of conclusions. Chemical test tabs include 20 dissolved oxygen tabs and 10 each of pH, Chloride, Nitrate, Nutritab and buffer tabs. Students study four sites along a virtual river, from headwaters to the mouth, learning how humans affect water quality. This book furthers understanding of watersheds and riparian zones in Wyoming. It contains color illustrations that help to demonstrate watershed principles. A complete atlas of Wyoming waters, including drainage basins, geology, aquifers, trout streams, and more. Maps are in vibrant color.